Home > Casino news > Articles > Can You Start an Online Casino Business? 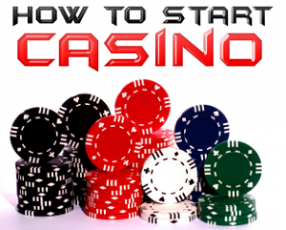 Can You Start an Online Casino Business? The gambling industry has been growing in terms of both online activities and in physical spots. Today you could start your own online casino business just as well. This is an intriguing concept that can entail plenty of chances for you to get a sizeable profit. But before you can get your entity up and running, you have to watch carefully. A gaming business is one that is made up of many aspects that when mixed together can create a place that might be of value to all sorts of players. You have to watch for how any site you want to establish is organized so it will be a more appealing place for people to play it. More importantly, it will also help you get the money that you are looking for when trying to keep something running and exciting to everyone. The first step for starting an online casino business is to get the appropriate software for the task at hand. Casino software programs come in a great variety of forms but you should be careful when finding a choice that fits your needs. A software program should help you with getting a proper license for running the casino. This can work with a license that helps you to incorporate your work in a part of the world where it is legal for you to do this. You will learn more about the licensing part of running a casino a little later on in this guide. The management system should work with help for planning a variety of programs and other setups of value to you. Find a choice that handles many financial options. These include various deposit and withdrawal options. This should be used with security and safety in mind while also offering a diverse array of options that customers can use. The ability to support a number of currencies is important. Your software needs to be able to handle many currencies that people are often likely to use including the Euro or British pound to name a few. The front end refers to the way how the program is displayed. Your front end has to be not only easy to use but also customizable in a number of ways. Don’t forget to look at the customer support features that are included. Check on how the support team on your program works so you can get it organized and ready to use in any situation. Look at the types of games you will offer to your players. Are you going to offer traditional slots only or will you offer a variety of table games? Don’t forget to look at the specialty games that might be included at such a place. Live video streams can bring people to table games from all around the world including ones that are run by actual dealers. See what types of streams are available so you can prepare your site to work with them. Sports betting has become very popular in recent time. Look at how you can offer sports betting activities include live in-game options. Tournament features, bonus games and chat rooms may be added into your place. You have the right to choose as many things as you want to add into your site so be sure to look at what is available. Everything that comes with running such a place should be made with your particular clients in mind. They should be first as they are going to be the lifeblood of your organization. You have to treat their needs with care and prepare a great site that works well with all of their demands and interests in mind without being complicated. You have to get your casino licensed if you want to legally do business. You can get your place licensed in one of many countries that allow you to do this. Places like Gibraltar, Curacao, Malta and the Isle of Man are all good spots to look into. But you will have to get a license ready in the country that your casino will operate out of. It can take as much as a full hear for you to get a license ready though. This is due to the extensive paperwork and processing needed as well as the massive backlog that some of these smaller parts of the world might have to bear with. The concern though is that local legislations are going to directly impact how your casino is going to operate. This means that you might be at risk of serious trouble depending on whether or not you are legally able to operate in a certain country. Be sure you choose your country of operation carefully when getting your casino ready. The country should be chosen based on not only its reputation for licensing but also how it will handle the paperwork and functions needed to keep it working. Any costs and taxes associated with getting it all started must be reviewed properly. The particular payment system operators that you can work with must be analyzed just as well. Look around to find proper groups based on how well different services can be managed as well as how you can integrate payment choices in a variety of forms. The support for different currencies and the ability to process payments quickly and securely can especially make a difference. You have to make a proper choice when getting any payment setup ready for your general needs. Don’t forget to look at the fraud detection features that a service has. These features may include many points for reviewing false accounts so you can keep people from trying to add fake money into their accounts. Remember that there are dozens of different payment options for deposits and withdrawals to work with. Any platform you use should be prepared with enough help to cover all of these and much more. The design of your site should also be analyzed. The design should be prepared with a sensible look that isn’t complicated. It should also be designed with an inviting look that is attractive and gives people a number of ways to enjoy playing games. You can always look at your competitors to see how they run things. Notice how they often work with setups that can work on any kind of web browser or operating system. Take what you notice out of these places in mind. Check on the bonuses that you plan on using at your casino. These should be made with enough features to give people free rewards for their deposits among other things. Any frequent player points or other rewards that you want to give to people who come out to your casino to play there often are always welcome. You can get these points out to various people who want to enjoy a great game. Any forms of assistance that you want to give to new players should be marketed. You can offer information on how to play games or an extensive customer service station. These can be marketed to people who want to learn how to enjoy your site and have fun with the features you are offering. You have to provide players with a number of great things when you are trying to get such an online business ready. Be certain when getting your casino up and running that you know what you are getting yourself into. The goal will be to see that you’re getting something ready without being too hard to follow or use. You must really think about how your online casino business will be organized and what you can get from it when checking out what works. Take a look at various similar sites and you might get an idea of what you can get out of your space. More importantly, you have to look carefully to see how well something might work for you without being complicated or otherwise hard to follow.